St Georges Day celebrated in Trafalgar Square. Now I'd be happy if St George would slay blogger and make them give us back the old template. Update: I've found how to get the old interface back. Under design there is an option to revert to old interface. The English steal everything. George was Armenian! Nice looking trio. We call him Göran. I have also gone back to the old blogger design. Also found the "revert" option and it said it was reverting back - but nothing happened. I appear to be stuck. 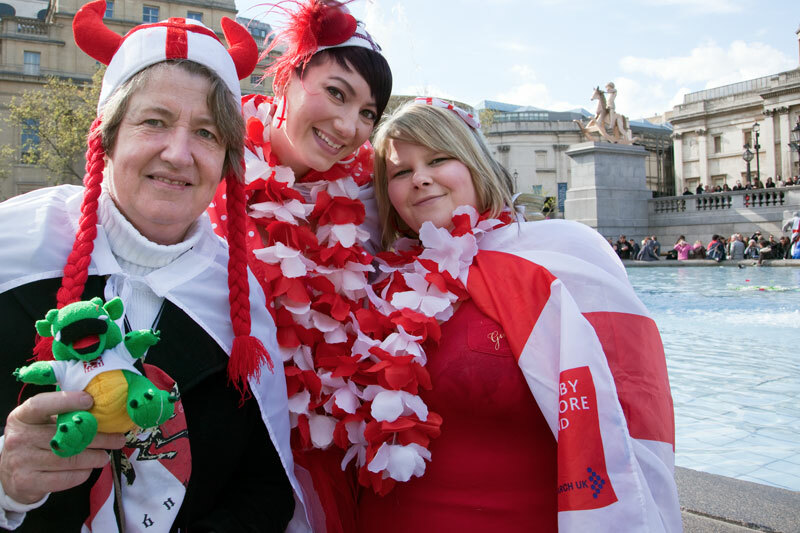 St. Georges Day looks like a lot of fun! I'm with you on the new template. However, more importantly I can't get my scheduled posts to actually post when they are supposed to. I have no idea what I'm doing wrong, everything looks correct. I'd blame the new template but, it started before they switched me. I was extremely careful to get everything set up correctly last night and still it didn't work. Enjoy the party!! Tomorrow is Castile and Leon Day here.